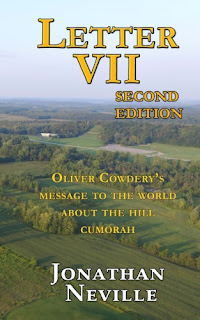 Thanks to the Correlation Department's obsession with Mesoamerica, visitors to the Hill Cumorah Visitors Center near Palmyra, NY, are never told what the prophets have taught about the New York Cumorah. Visitors are told that Cumorah is significant only because Joseph got the plates here. They are not informed about Cumorah as the site of Mormon's depository of the ancient Nephite records. They are not informed about Cumorah as the site of the final battles of the Jaredites and the Nephites. 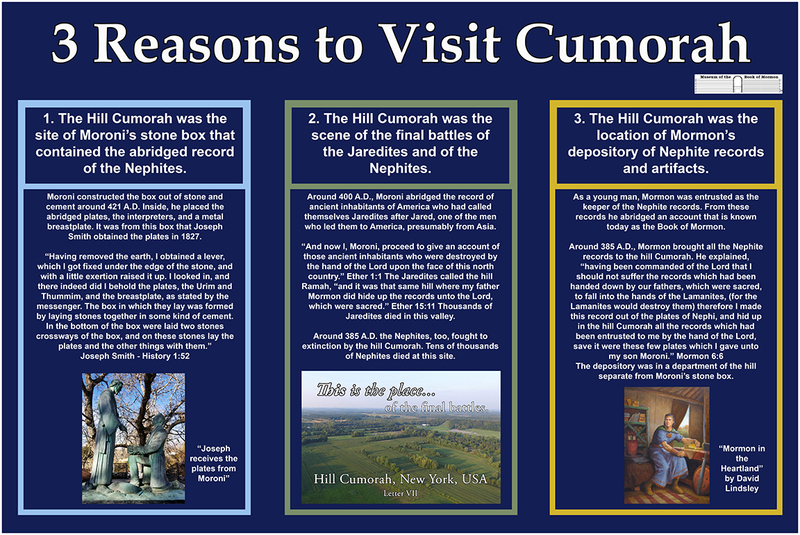 Consequently, we included a graphic explaining the 3 reasons to visit Cumorah.